We had planned to go to Jazz Fest last year but changed our plans so it was good to get a dose of New Orleans boogie-woogie here in London. Post by Official Ronnie Scott's Jazz Club & Ronnie's Bar. Again we had booked priority seating so had a brilliant view on the raised sections directly opposite the stage. "Few have done more to popularise his home city’s music. In the 1960s and 1970s, as a songwriter, producer, session pianist and solo performer, he updated New Orleans’ traditions of street parades and R&B for the new age of soul and funk. […] An entertaining tour through a remarkable half-century of songcraft ensued. Toussaint was an affable guide, and his songs, whether written for others or himself, came across as infectiously good-natured […] His vocals sounded impressively sturdy, given his age, while his piano-playing was deft." "Throughout, Toussaint laid down some inimitable piano work, an updated version of Professor Longhair in its slow moving bass lines and tumbling treble. He is a fine blues musician, and steeped through and through in the very soul of New Orleans. If at times he sounds like Doctor John, that is to be expected, but I also heard the wry confessional of Randy Newman, and that is high praise indeed." Laissez les Bon Temp Roulez! 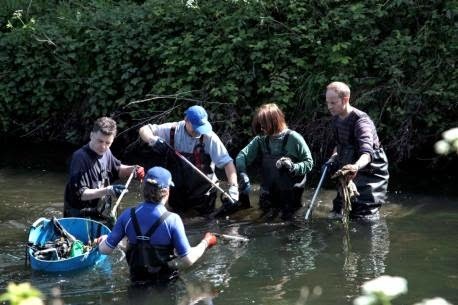 Full article and more pictures: Wandsworth residents do their bit for river Wandle. We have done this section several times in recent years so the rubbish haul was much reduced which I suppose is a good thing. It means we can focus on others sections for a while. It was a sunny day but in the river the water was darned cold. The flow was fast and the levels were high resulting in several armpits full of water and a knackered iPhone. I really must invest in a cheap waterproof camera. Adam's only London gig is over the Easter weekend while we are away in Italy. The next nearest was Cheltenham last Friday which gave me an excuse to visit friends John and Andrea who live nearby. John and I went to the concert and left Andrea and Mary to go out to the local pub for a natter. Back in 1980 I went to my local record store to buy "Kings of the Wild Frontier". They didn't have it in stock and I was persuaded to buy his previous album "Dirk Wears White Sox". I took it home, put it on the turntable and I have to say I was disappointed. What was this stuff? Where was the dandy highwayman I'd seen on Top Of The Pops? I may not have liked Dirk but clearly Adam does. At the London gig he is going to play DWWS in its entirety so in some ways I am not unhappy to miss that date. It was a concert of three parts. The first part was four songs from DWWS including "Car Trouble" and "Xerox Machine". The second part was what the crowd (or at least me) had come to hear including "Stand and Deliver", "Vive le Rock", "Desperate but not Serious" and "Strip". The third final 20 minutes was non-stop hard-rocking medley that I didn't recognise; perhaps I need to go and listen to the music in my collection again. Adam did a fair mount of chat, well swearing actually, and it became clear that Dirk is the album closest to his heart. He also seems to think of himself as bit of a hard geezer and he dislikes Oasis intensely. He still has serious charisma and stage presence as he swaggered about like a louche version of Cap'n Jack Sparrow. As well as Adam there were two of the original Ants: the bass player, Leigh Gorman, and one of the drummers, Dave Barbarossa. The music was very loud and we were near the right hand speakers so I called my earplugs into action. In the end I lent one to John so we had one each - both in our right ears. It was an enjoyable evening but I'd only give it three stars. It might even have been two-and-a-half stars but for Adam's stage presence and iconic status. Then back to John and Andrea's for a glass of red wine and to bed well past my normal bedtime. I must confess I had not heard of Valentina Harris but she is a prolific writer of cookbooks with over 40 titles to her name. Mary signed us up for this class held at Divertimenti in Marylebone High Street. It was demonstration rather than hands-on so we watched while Valentina prepared and chatted. She gave us an insight into her background (Italian mother, English father), her introduction to Risotto (her signature dish), and about each of the dishes and wines. The theme being regional cooking every dish and every wine was from a different area. Not a dish and a wine from the same area but wherever produced a wine that would suit. We were pleased to see a couple of our favourite wines on the list: Greco di Tufo and Salice Salentino. It started at 12:30 and, given the lead time for preparation and cooking of several of the dishes, it was gone 14:00 by the time we were served the starter and I was starving. The parcels were wrapped in speck and were light and delicate as was the wine. I normally think of Greco di Tufo as being a little more full bodied and unctuous but maybe they chose a lighter one deliberately. I wouldn't normally have thought of cooking lettuce but why not, you cook other green leaves. Since Valentina is nicknamed "The Queen of Risotto" you would expect this to be good and it was very tasty. This dish may be Calabrian but is also very Pugliese-like as it comes from just around the corner, Puglia is the heel of Italy and Calabria is the toe, and you would expect them to have a lot in common culinary-wise. It would be the perfect dish to prepare in our big terracotta casserole dish. Valentina was very unkind about the "boring" green bean and was of the opinion they needed jazzing up. The stew itself was excellent, very tender rabbit. It is a good job this wasn't a TV cookery competition. She, or her assistant, took their eye off the ball and the pasta stuck together - the torta was assembled in clumps rather than layers. Then, when baked, one of the cakes stuck to the tin and came out in several pieces. So she did what sensible cooks do, she reassembled it on the serving dish and covered it in chocolate so you couldn't see the disaster! And it tastes just the same. 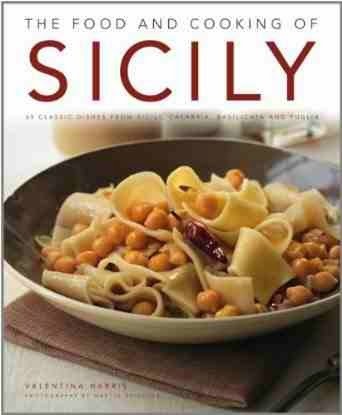 Of course we had to buy a cook book so we bought "The Food and Cooking of Sicily: 65 Classic Dishes from Sicily, Calabria, Basilicata and Puglia" (available on Amazon) signed by the lady herself. An excellent Sunday lunch and some recipes to try when we are next out in Puglia. St. Barnabas Young Wives; Inner Wheel Club of Kenilworth; Methodist Church Women's Fellowship; Kenilworth Flower Club; North Warwickshire Hunt Supporters Club; B.P. Scout Group; Warwickshire Girl Guides; The Kenilworth Society; Kenilworth Town Women's Guild - Afternoon; Kenilworth Town Women's Guild - Evening; Kenilworth Liberal Association; Kenilworth Horticultural Society; Kenilworth Historical Society; Warwickshire Fencing Union; Talisman Theatre; The Kenilworth Payers, Priory Theatre; Kenilworth National Savings St. Group; The British Legion; Ministry of Public-Building and Works_; K. Gee, Esq. ; Kenilworth Urban District Council; Warwickshire & Worcestershire Yeomanry; Peter Asquith, Esq. Hudson's of Birmingham; E. F. Abbot, Esq. ; Civil Defence; W.V.S. ; St Nicholas Bell Ringers; Kenilworth Rugby Club; National Federation of Business & Professional Women's Clubs; The Woodlands School; Mrs D. Harley; Kenilworth Police; Kenilworth Labour Party; 1st Kenilworth Girls Life Brigade; The Rotary Club of Kenilworth; St John's Mothers' Union; Calor Gas Co.; Bullfinch Gas Equipment Ltd. ; Kenilworth Meals on Wheels; St. George's Society of Kenilworth; Councillor E. T. Evans; Mr H. L. James of Autoprufe; Mr H. C. Kenderdine; Eric Pedler; Mr T. E. Bates; Mr and Mrs C. F. Dyer; Mr, R. Tisdale; The Sphinx Club; Kenilworth Carnival Committee; Mr R. Gee and all the good friends who have helped us. It was with great pleasure that I accepted the invitation to inaugurate the festivities to commemorate this 700th Anniversary of the Great Siege of Kenilworth. My family has been associated with this area for many years and I recall with pleasure the time my wife and I lived in the Gatehouse of the Castle. This is a unique occasion and I know that many people in the town have put a lot of hard work into suitably remembering the valour of our ancestors. I hope that everyone visiting the Castle will thoroughly enjoy themselves and I wish every success to the other events which are going to be held during the period of the commemoration. In January 1965, the Urban District Council sent a message to the Speaker of the House of Commons praying that he would convey to the Members who were celebrating the 700th Anniversary of the Parliament, the greetings of the inhabitants of Kenilworth and the Council (the present owners of the Castle of Kenilworth which in 1265 was in the possession of Simon de Montfort, and in which he conceived, or at any rate pondered, on the constitution of the 1265 Parliament), who were proud to recall the association of their Castle and its environs with that great man and his cause. When the Kenilworth Historical Society suggested to the Council that a suitable commemoration of the 700th Anniversary of the Siege of Kenilworth Castle might be arranged, the Council readily gave its support. It is appropriate that Kenilworth obtained a Grant of Arms this year. The motto adopted is 'Cives oppidi fundamenta' (The Citizens are the backbone of a town). The enthusiasm and voluntary effort of your committee certainly bears out this motto. As Chairman of the Council, it is indeed a pleasure to congratulate you on your exciting programme and I urge everyone in the town to give their fullest support. Thrill to the throbbing drama as Maid Marion is abducted by the Dastardly Sheriff! Enjoy the jocular jokes of the jolly jesters! Marvel at the mirth and music as the Merry Men dance round the Maypole! See the amazing action-packed duel between the Sheriff and Robin Hood - ten great hits . . . The Play tells the true story of the period in Henry VIII's life, when having gained dissolution of his fourth marriage to Anne of Cleves, he fell in love with and married Katherine Howard, a young and spirited girl of twenty. Her sudden decline and fall was brought about by a trio of Court Ladies. Their disclosures - some under threat of torture - about the young Queen's previous love affairs, led to Katherine's overthrow and imprisonment in the Tower. She was of course beheaded. The Commemoration Committee is most grateful to The Priory Theatre who are donating the proceeds from this Gala Performance to the Commemoration Fund. The Medieval Fayre will remain open from 2.00 pm until approximately 8 pm. Bows and arrows were introduced to this country about A.D. 450 The early types, such as were used at the Battle of Hastings, were short and the archer drew the arrow only to his chest. The introduction of a longer bow, such as was used during the Siege, made it possible to use a longer arrow and for a more powerful bow to be drawn because the archer could draw to his ear instead of his chest. Both power and range were increased. It was the long-bow that made the Bowmen of England. Its use was practised by all and sundry from a very early age. It was not an easy weapon to use but practice brought proficiency and it was always superior to the earlier cross-bow which had a shorter range and was slow in operation. The long-bowmen stood in a body eight or ten deep and shot together, those behind shooting over the heads of those in front. This the cross-bowmen could not do. The long-bow was last used in battle in 1644. The most effective range was between 250 and 300 yards. Bows for military use were usually between six and seven feet long and made of yew, basil, wychelm, ash or hazel. The arrows would penetrate plate armour. The long-bowman of today uses a six foot bow and his arrows weigh about one third that of a war arrow. His bow is not as powerful as the military weapon and the range is about 220 yards. There are very few men today who, without constant practice, would be strong enough to draw a military bow. A sport with ancient origins, fencing has been developed over the years into its modern form. It requires a high degree of skill and co-ordination of mind, hand and body. Today's fencer has the choice of three weapons - the foil, originally a practice weapon, the sabre which is a lighter version of the cavalry sword, and the epée, derived from the 18th century French court sword. All three are demonstrated today. The fencers' special clothing gives them the maximum protection consistent with freedom of movement and the position they adopt when 'on guard' enables them to defend themselves or launch an attack with equal facility. As they advance and retire, testing each other's reaction, seeking an opportunity for attack, the action flows from side to side until a hit is scored. Lanson Champagne is one of the Grande Marque champagnes. Behind its restrained label, lie over 200 years of history that have been anything but restrained. Louis XV sat on an unhappy throne when Lanson was born. His 'friend' Madame de Pompadour was at her most devious, Voltaire his most scathing. Kings, emperors and presidents have come and gone. 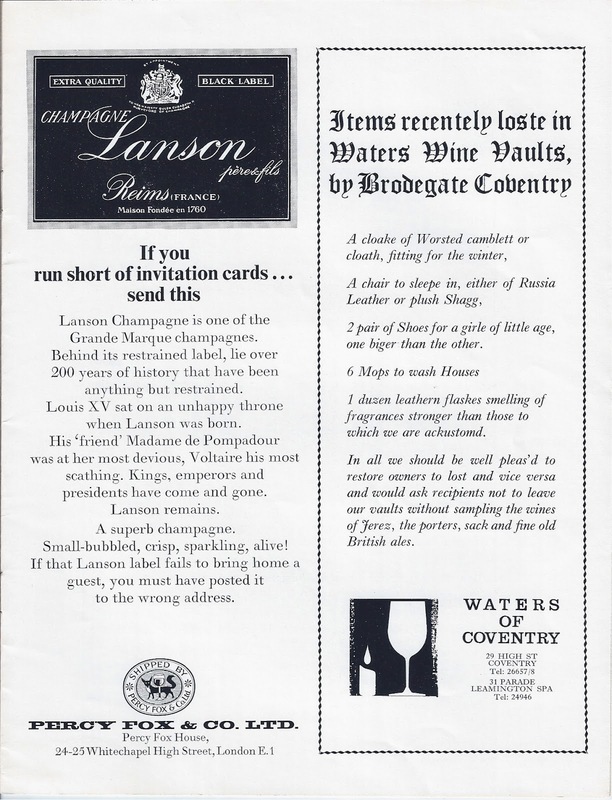 If that Lanson label fails to bring home a guest, you must have posted it to the wrong address. 2 pair of Shoes for a girle of little age, one biger than the other. 1 duzen leathern flashes smelling of fragrances stronger than those to which we are ackustomd. In all we should be well pleas' d to restore owners to lost and vice versa and would ask recipients not to leave our vaults without sampling the wines of Jerez, the porters, sack and fine old British ales. The two Cannon in use today belong to Robin Wigington of Stratford-upon-Avon, an antique dealer who specialises in firearms. The larger of the two Cannon is a bronze seven pounder. The barrel is a fine example of its type and the carriage has been reconstructed to its original pattern in oak and teak. Known as a 'galloper' it was a mobile field gun in Napoleonic times and could be moved rapidly about the battlefield to support the infantry. It mostly fired solid shot, but when in action at short range - repelling a cavalry charge for example - it fired canister shot. 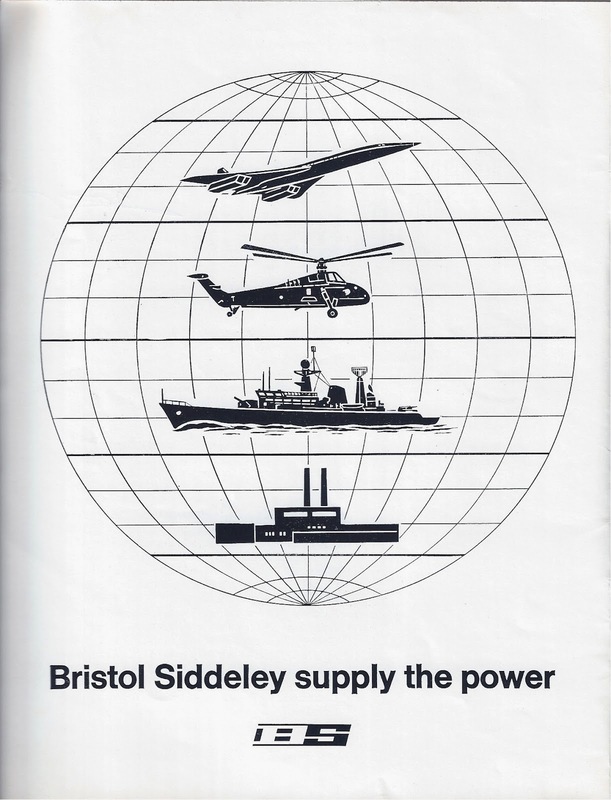 Although a 'light' gun the barrel weighs several hundredweight, and the complete gun around 15 - 16 cwt. The smaller weapon is an iron barrelled three pounder of the early 19th century. This is its first outing since its reconstruction. A mountain battery gun, it is easily dismantled and was designed to pack away on three mules. It was mainly used by infantry in difficult areas such as the North West Frontier of India, and the mountains of Africa, where normal artillery could not operate. The muzzle loaders in the clay pigeon shooting are of two main types, flint lock and percussion. The flint lock guns date from 1730-1810. They are of slow ignition and the shooter has to learn to follow through even after the priming has flashed if he wishes to connect with a fast moving 'bird'. The percussion or detonating lock guns are of the 1825-1860 period. The invention of the percussion cap made ignition certain even in wet weather. Both types are loaded with a measure of loose black powder and then a card wad is rammed down followed by a measure of shot topped by a thin felt wad. in the case of the flint lock the pan has to be primed, and in the case of the percussion action the cap placed in position. As well as the firing demonstrations we have a fine collection of antique arms and firearms on display, all arranged by Mr Peter Asquith, National Hon. Sec. M.L.A. Kenilworth has no Museum. Its treasures have found homes in the Herbert Art Gallery and Museum in Coventry, the County Museum in Warwick and The British Museum, amongst other places. By kind permission of these friends, and the generosity of many others, it has been possible to put on an exhibition in the Gatehouse of the Castle. Recent aerial survey has dramatically altered our knowledge of the occupation of this area by pre-historic man. Worked Flints and fine examples of axe-heads, found locally, are on display. The Romans were here. A tile kiln, near Chase Wood, has long been known but members of the Historical Society recently located a new Romano-British find and examples of tiles and claywork are on display. Also on show is a unique collection of glass, metalwork and pottery found about 1917 in the area of Kenilworth Common, and this covers the period from Roman times to the 12th century. The Kenilworth Urban District Council and the Churchwardens of St. Nicholas Church have lent us examples of coins, glass and leadware, tiles and stonework found in the excavation of the Abbey, but the great 'pig of lead'— melted down from the Abbey roof—remains on display in the Church. The Ministry of Public Building & Works, and Mr. Philip Rahtz have put on display shot typical of that used in the Great Siege, a suit of armour and many examples of pottery, glass and metalware found in the 1960 excavation in the Castle. To give some idea of the weapons used models have been made of the catapult and trebuchet, and Mr John E. Pocock, Agent to the Raleigh Estate, has lent fine medieval swords and armour. There is a display of prints, maps, copies of Dugdale's 'The Antiquities of Warwickshire, 1656' and important books written subsequently. A copy of the Enclosure Award of 1756 is on show. 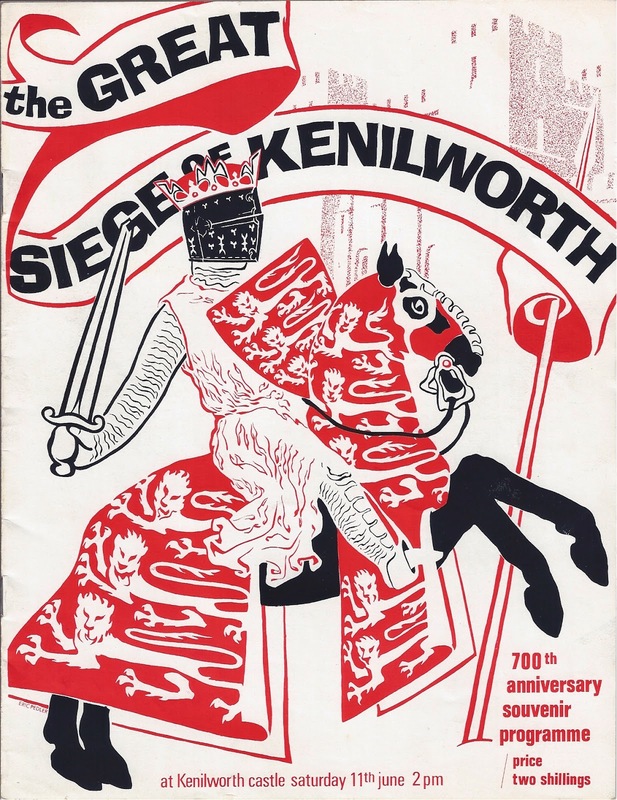 The Kenilworth Historical Society has published a history of the Siege to mark this occasion and it has been designed and beautifully illustrated by Eric Pedler of this town, a member of the Society. Copies are on sale for the first time today on the Historical Society's stall. The price is 2s. 6d. Go for happy go luxury! All set up for a swinging safari Four adventurers (and all their kit) off on safari in style in their Super Imp. To set up camp is simple. They open up Super Imp's rear window and out come pots, pans and hampers. There's room up front too, for more big game equipment. Big load holding that's all part of happy go luxury motoring. And Super Imp hoards its fuel like a camel. Does 40-45 miles on just one gallon. So for carefree happy go luxury motoring with big car styling and comfort see the Hillman Imp at your Rootes dealer today. 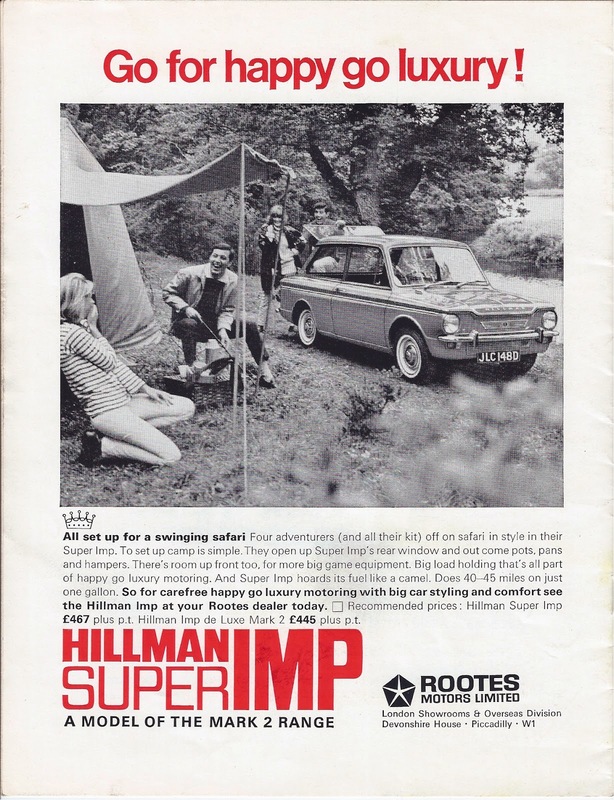 Recommended prices: Hillman Super Imp £467 plus p.t. Hillman Imp de Luxe Mark 2 £445 plus p.t.